At the time, I was in a very restrictive school where a real computer wasn’t permited in class. 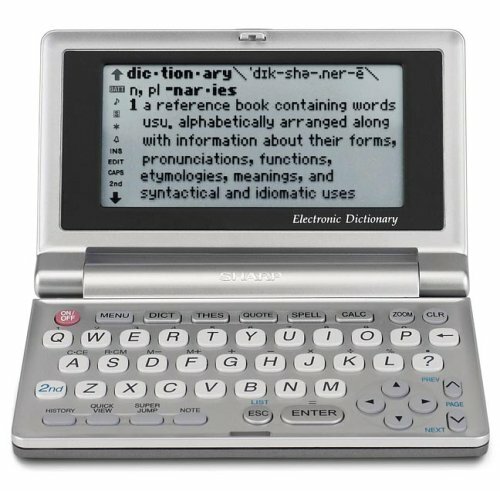 The actual thing (that’s an “electronic dictionary” by the way) was probably older, slower and of a different brand than the one in the photo. In fact, I didn’t know how to make a copy of the code, and the device wasn’t even mine. So the game just stayed there when the device was returned to the owener and its fate unknown. Fastforward to today. I use and write software applications for a living. Programs I use directly range from terminal commands to GUI apps and web apps in a browser. Just to make things painfully clear, these apps’s interface is composed exclusively of text. We can vaguely categorize them as “Text-based User Interface(TUI)” application. There are many reasons to like TUI applications. Compared to a CLI program, they can display information in 2-dimentional, more organized layout (aka more like a GUI app). 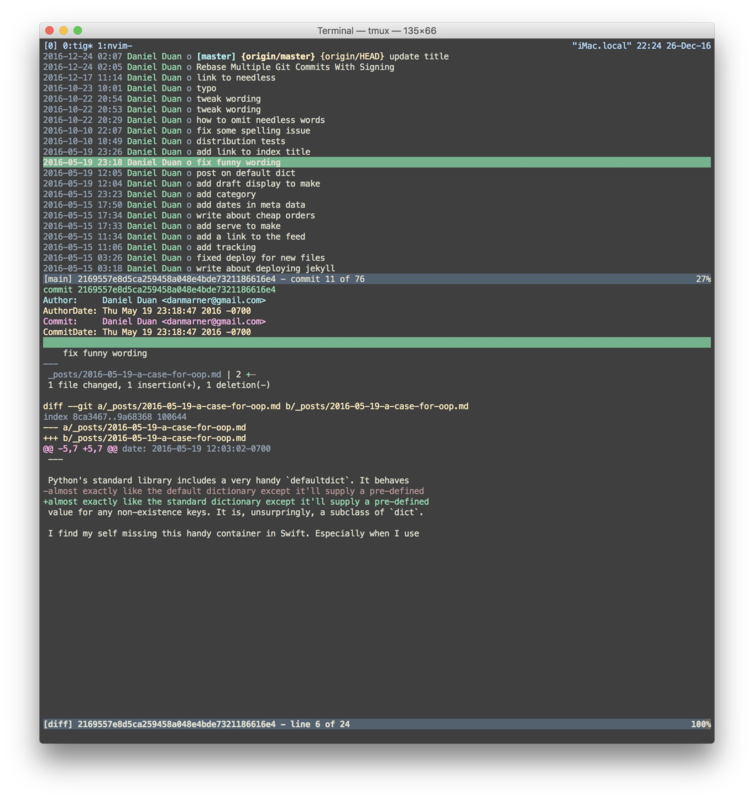 Unlike a GUI application, they almost only require a terminal to run. If you ssh onto a Linux server on your iPad, they’d work the same as running locally on a Mac. For people who live in terminal simulators, it’s nice to run apps that don’t open a new Window. Oh, they often tend to look the same no matter how your OS changes. Most importantly, they remind me of the programs I built on that electronic dictionary. I want to make them today, with my favorite programming language Swift! The go-to library for writing TUI apps is ncurses. Classics such as vim, emacs and mutt were written with it to some degree. But I find it hard to dive into: it has a large number of strange legacy function names and offers pre-built UI elements like panels, menus, forms etc. The terminal in my mind is a spread of characters that can be updated by me. That sounds fun. Ncurses seems more like UIKit :P.
Luckily, I found the fun library: termbox by nsf. 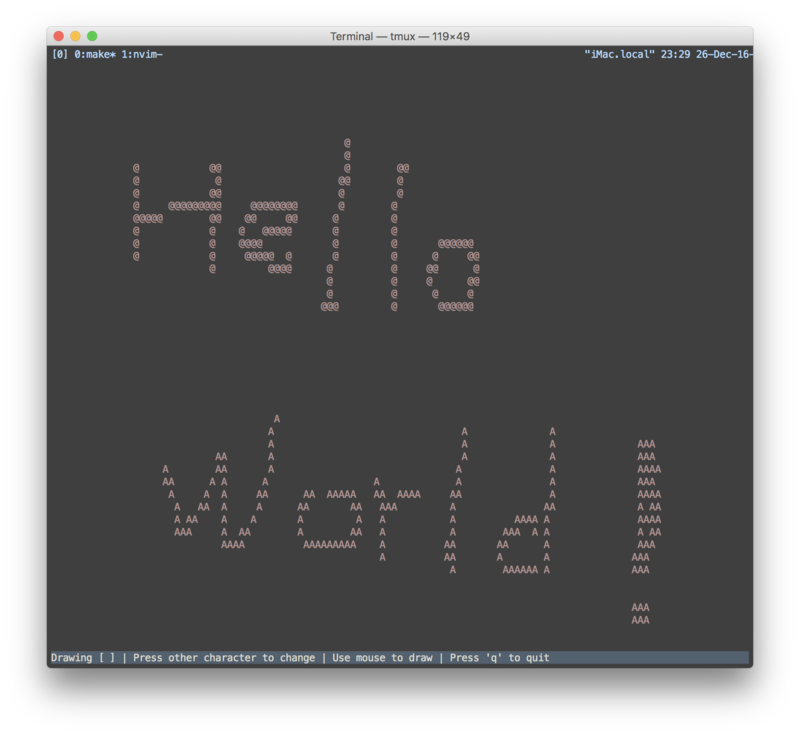 Termbox offers around a dozen functions that gives us size of the terminal, a way to update text at a row/column coordinates, and user inputs in forms of key-presses and mouse-clicks. And that’s it!